The action of an external parametric perturbation with slowly changing frequency on a soliton of the nonlinear Schrödinger equation is studied. Equations for the time evolution of the parameters of the perturbed soliton are derived. Conditions for the soliton phase locking are found, which relate the rate of change of the perturbation frequency, its amplitude, the wave number, and the phase to the initial data of the soliton. The cases when the initial amplitude of the soliton is small and when the amplitude of the soliton is of the order of unity are considered. Original Russian Text © R.N.Garifullin, 2012, published in Trudy Instituta Matematiki i Mekhaniki UrO RAN, 2012, Vol. 18, No. 2. 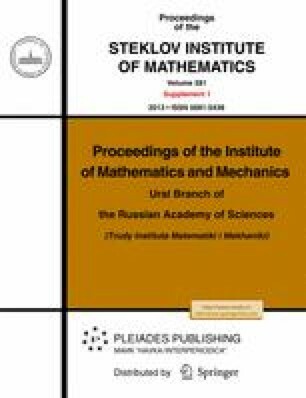 O. M. Kiselev, S. G. Glebov, and V. A. Lazarev; http://arxiv.org/pdf/math-ph/0410041v1.pdf.